Ms Ferdous is having multidisciplinary background with two MS degrees: one from Nanyang Technological University (NTU), Singapore in Life Sciences and another from Independent University, Bangladesh (IUB) in Environmental Management. Currently, she is working as Project Manager in a multinational SUNRISE study to monitor 24-hour movement activities in the early years. As a part of this pilot study, she is involved with community networks and assessment of various developmental indicators for children including gross and fine motor skills, 24-hour movement behaviours with an accelerometer, cognitive development and BMI. In her MS thesis, Ms Ferdous focused on maternal perceptions of childhood obesity in urban settings of Bangladesh. 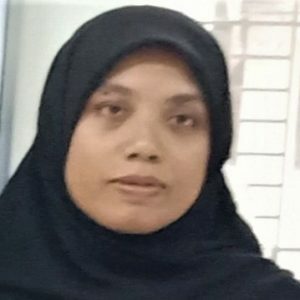 After obtaining her Bachelor (Hons) in Microbiology from University of Dhaka, he served as a Research Assistant in Tamasek Life Sciences Laboratory (TLL), in Singapore. She is expertise with various molecular tools such as microsatellite marker analysis, PCR, cloning, gene transfer in plant system etc. She is a mother of two wonderful kids and wants to devote herself to establish the children’s rights to play.